The purpose of this project is to create a corpus of spoken Galician and Castilian based on a set of sound recordings made in Galicia between 1964 and 1967. These materials were donated to ILG by the Danish ethnographer Gustav Henningsen in 2009. The material was recorded as part of research into traditional beliefs, particularly about witches and possessed people, partly funded by the University of Copenhagen and the Danish Scientific Research Council. 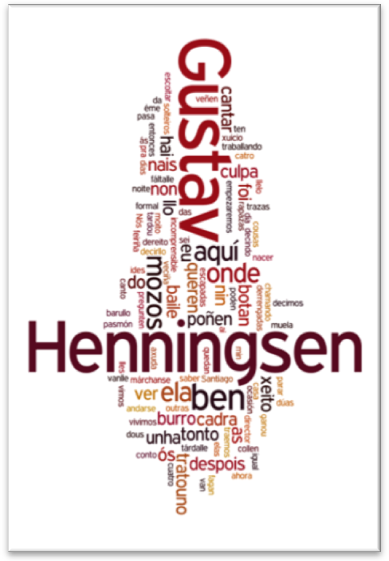 In the course of his research Henningsen visited a number of Galician towns and villages taking photographs and interviewing local people about magic and healing rites. The over 150 hours of recordings donated to ILG constitute an interesting source of information about Galician language and society in the 1960s. The material also includes many traditional legends and examples of popular verse. Once they are transcribed and processed, the Henningsen recordings will be used by ILG scholars to carry out a wide range of linguistic research. Part of the Galician material in this corpus will be incorporated into the CORILGA project.